D4D Theme Lead Louise Moody has been appointed Professor of Health Design and Human Factors. Congratulations to Professor Moody on her confernment, prior to which she was a Reader and Associate Head of School-Research as well as acting as the Head of the School of Art and Design, Coventry University. This appointment is in recognition of the leadership of novel research applying design and human factors to health. Central to Louise’s research has been user and stakeholder involvement in the design process to maximise user acceptance of the resulting solutions and achieve improved health behaviour and outcomes, safety and dignity. Through a number of projects including work with Devices for Dignity she have driven innovation in areas of healthcare that have traditionally lacked a user-centred or human factors emphasis. 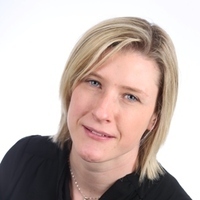 Louise has made contributions to a range of areas but of specific note is the application of design thinking and human factors to newborn screening, assistive technology development, and solutions to support the management of long-term health conditions. The focus on human factors and design in these areas is relatively unexplored, enabling her research to stimulate interest in areas of not only unmet clinical need, but areas traditionally neglected by design. As well as the academic knowledge contributions which will have wider application as the field of health design field develops, the research has driven change in practice and new products.